This evening I took a few minutes to assemble the NDRF page on Wikipedia. It still needs a lot of work, but at least it has some presence now. 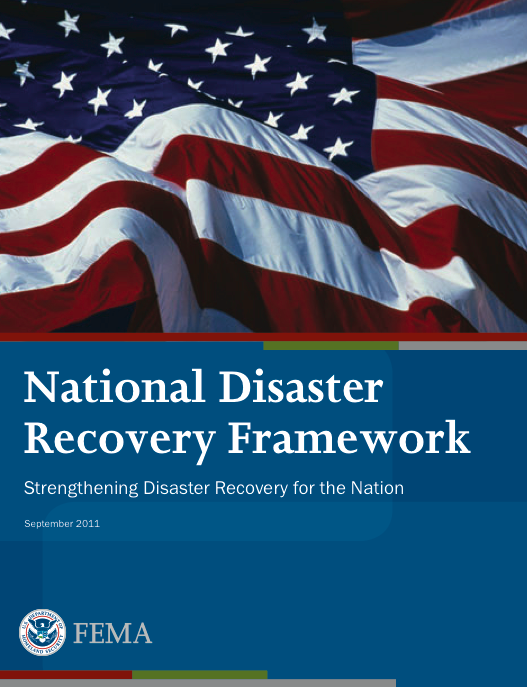 In my next posts, I’ll be further exploring the new Presidential Policy Directive-8 (PPD-8) regarding National Preparedness (issued March 2011), the National Preparedness Goal (September 2011), the recently released National Preparedness System (November 2011), and the forthcoming National Preparedness Report. For those who haven’t heard of the NDRF yet, the NDRF was released in September 2011 and is a “sequel” to the National Response Framework (NRF)–which replaced the National Response Plan. For emergency management geeks like me, the NDRF is a giant step forward in preparing for disasters–at all levels of government AND NGOs. Like the FCO position in response, recovery is led by the Federal Disaster Recovery Coordinator (FDRC). Instead of Emergency Support Functions (ESFs), the NDRF introduces 6 Recovery Support Functions (RSF). What’s really interesting about the NDRF (and this is clearly indicative of Mr. Fugate’s leadership) is that the NDRF includes as much guidance and structure for pre-disaster activities and planning as it does for post-disaster recovery actions. Additionally, the NDRF includes roles and responsibilities for local and state officials–which are meant to work with communities in advance of a disaster or even the need to recovery. This key structural feature of the NDRF effectively transitions some of the coordinating that is normally performed by Federal officials after a disaster to state/local officials BEFORE a disaster. I was not aware that Wikipedia lacked these things. 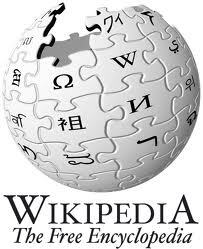 I would be happy to help even though i’ve never done anything on Wikipedia other than read it.